In today’s scenario where every individual understands how good education widens the horizons of knowledge, there is increasing willingness to join best institutions for quality education. However, if due to some or the other reason you are not able to pursue a regular course, then you need not get disheartened as almost all good institutions have introduced distance learning programs. It is noteworthy that among all the courses being offered through distance learning, MBA is the most popular one. Distance learning MBA in Pune has become the highly preferred course among people who wish to upgrade their educational qualification. You will be glad to know that there are many universities in Pune for MBA distance learning which are providing a range of educational programs to the students in the field of MBA. Besides providing bachelors and master degrees to the students, they also offer certificate and diploma courses. Students select the course for distance learning according to their interest and can easily get enrolled in the educational program of their preference. This institute is affiliated to the University of Pune and is particularly known for its excellent academic environment. It has a huge infrastructure for providing different educational programs to the students including MBA programs. The main aim of the institute of distance learning is to impart quality education and knowledge to the students who are unable to join for a regular program. DPU IDL, Pune provides adequate environment and had dedicated faculty for imparting education among the students. It is approved by UGC and NAAC with ‘A’ grade. Bharati Vidyapeeth is one of the recognized universities for distance learning MBA in Pune. It has a brilliant and modern infrastructure providing an adequate environment to carry out MBA studies. The University is approved by NAAC and UGC. This University was established in the year 1964 by Indian politician Patangrao Kadam. BVDU distance learning program’s motive is to provide high-quality education to the students who look for distance learning in the field of management. They provide MBA courses such as, MBA in IT and executive programs. SCDL is another well-known and reputed university in Pune for MBA distance learning. It is known for imparting excellent and value education to the students. The faculty of the University is excellent in providing students with the adequate environment to carry out theirr studies and interaction with the professors through distance mode and E-Learning. Symbiosis Centre for Distance Learning has been ranked first amongst the top Distance Learning B-schools that offer distance learning course in Management programs, by Career India 2016 and 2017. This institute came into existence in 2004. It is approved by AICTE and affiliated to the University of Pune. It is one of the recognized University in Pune for distance learning. It comprises of well-qualified faculty who not only provide education to students but also share with them valuable knowledge. The University aims at providing the excellent academic environment and modern teaching methods to deliver quality education to the students through distance learning and online classrooms. It has a well-designed curriculum according to the needs of the students. MIT School of Distance Education is located in MAEER’s MIT, Pune. The University was founded by Vishwanath D. Karad in 1983. 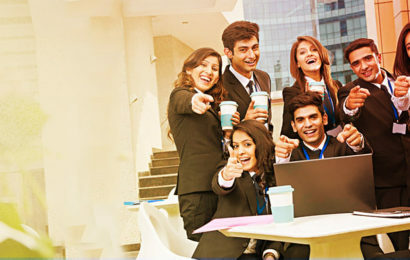 It provides students with quality education and learning through well-designed curriculum, study material and innovative teaching techniques through mode of distance learning, online teaching and examination and a dedicated faculty which is working to fulfil the requirement of the students and making them capable, so that they can be placed in recognized companies and industries. All these institutes are known for offering excellent innovative techniques and flexible curriculum in the field of distance learning.